Hippocrates once said, “Healing is a matter of time, but it is sometimes also a matter of opportunity.” And as smartphone and tablet technology evolves and puts knowledge literally into the hands of consumers, Hippocrates’ concept of “opportunity” may be a whole lot closer. And this is good news for marketers. Many patients with chronic diseases are discharged from a hospital without a clear vision of how to execute their day-to-day treatments. These lifestyle adjustments can be hard to adjust to. If a patient isn’t following them properly, it could lead to complications and return trips to the hospital. And, with the high volume of patients a physician sees, it can become difficult to judge how the patient is doing since their last visit. With the increasing popularity of Smartphones, brands everywhere are either releasing apps or wondering if they should. 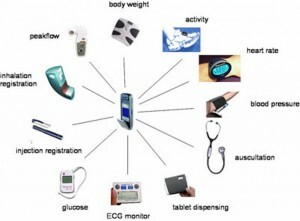 The health sector has even dubbed a whole new industry “mHealth” because of the potential smartphones offer. If you are a hospital marketer, does it make sense to create an app now? Stats and facts seem to say a resounding yes. 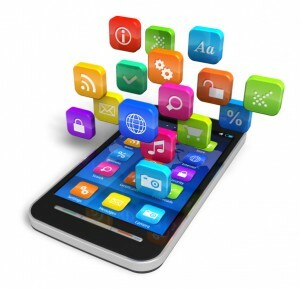 Here are some arguments for the necessity of hospital health enterprise mobility apps. According to PricewaterhouseCoopers, more than 17,000 smartphone apps have been filed under health care and fitness categories since September. This is a clear indication that health care providers and consumers are embracing smartphone apps as a means to improving health care. Surveys and Researches discovered that of cell phone owners, 1 in 3 have used it for health information, compared to only 17 percent in 2010. And when we narrow it to smartphone owners, a full 52 percent gather health information on their phones. So as smartphones grow in popularity, even more people are likely to be looking up health information on their phones. A survey by Price Waterhouse Cooper confirms consumer expectations: 6 in 10 patients expect mHealth will significantly change how they find information on health issues in the next three years. People with smartphones are hooked—in a survey it was found that 63 percent of females and 73 percent of males don’t go an hour without checking their phones. And as the population ages, smartphones will become even more important—from a Cisco survey, 90 percent of those 18-30 years old check their smartphones as part of their morning routine. Creating a great app will allow consumers to wake up with your brand in the morning, and be in front of them throughout their day. People expect their phones to help them with their health. According to various researches, 1 in 5 smartphone owners have at least one health app on their phone. If you can create a usable app, people will download it, and they will see you as high-tech and helpful. And now to clear the roadblocks. Think of a simple idea and it can be simple to create. App developers and interactive agencies can hear about your idea and let you know what will and won’t work. Now for the usability roadblock—will people download it and never use it? This won’t happen if your idea begs for daily use. Consider an app several hospitals have branded for their own hospital called the ICE App. This app puts your hospital logo on a person’s home screen, along with an in-case-of-emergency phone number, so first responders can see who to contact. Once users download the app and set up the lock screen, you are the first thing they see when they turn on their phones. Mobile apps present marketers with a great opportunity to develop a different kind of consumer experience that needed in the health care industry. The key to a winning app is simple: make your app interactive and use it as a portal to push information, reminders and resources to the customer, so that it becomes a “must-have” tool in their life. Right now, the best kinds of apps are the most specific apps. Something to remind a person to take a pill is more helpful to more people than an app to track the workouts that might only appeal to a fitness buff. Why these kinds of apps are so popular? Because they give patients exactly what they wanted: easy-to-use, patient-centric tools that make managing their health easier. We Enterprise mobility services provider company Emorphis Technologies have in-depth experience for creating engaging mobile apps for businesses. We are one of the premier Enterprise mobility Solution development company and have a long list of credentials and portfolio ranging from m-commerce solutions for retail services, eCommerce web development, Cloud computing services, and outsourced web development. If you are on the lookout for a partner to help you leverage your online business through Mobile Applications specific to retail, then do connect with Emorphis Technologies. Our proficient developers experienced in free source mobility and cloud computing applications will help you get the best solution for your company.